Leaf Aquatica | Zonyxa. Unique and contemporary jewellery for Work. Love. Play. With two distinct ‘sides,’ the necklace features alternating the shapes and colours of earthy flint and transparent crystal balls one side with a tactile row of coins of azure-greenish howlite on the other. 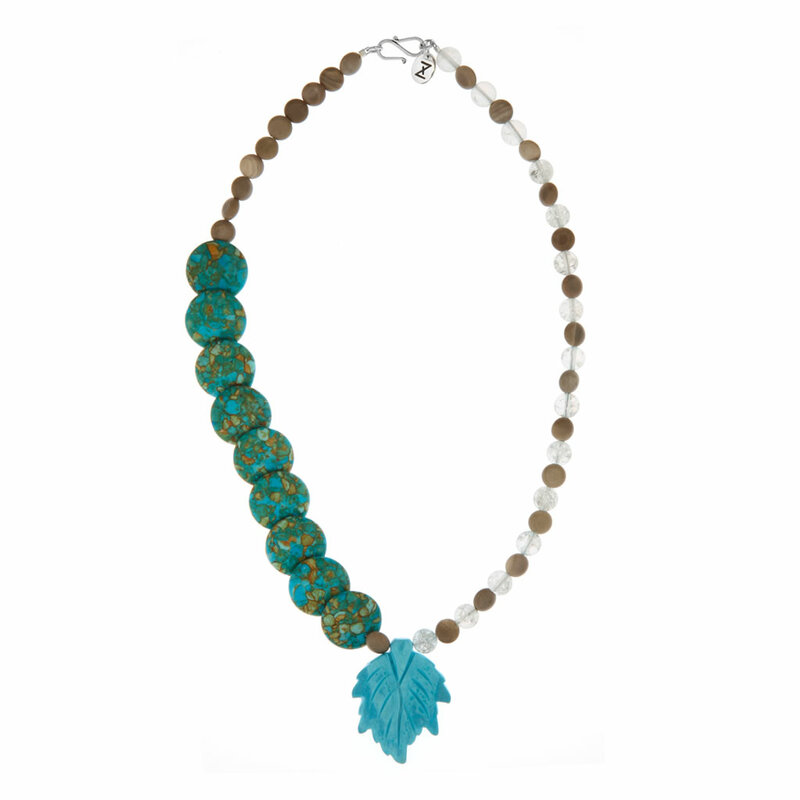 The centerpiece is a carved aqua pendant in the shape of a leaf. Wear it to accentuate simple daytime tops or casual dresses. Materials: Turquoise, howlite, crystal and flint.